Edward Oates practises in the life sciences field, with a particular focus on pharmaceuticals – from small molecule inventions through to later stage developments. He has worked on numerous marketed products across a variety of fields, including some of the world’s most commercially successful medicines. Mr Oates has been the lead defence advocate on some of the biggest multi-party oppositions to have taken place at the European Patent Office in the life sciences field: against 14 opponents for Novartis and 15 opponents for Johnson & Johnson. He is also highly experienced in patent lifecycle management, advising clients on supplementary protection certificates (SPCs), paediatric extensions and regulatory exclusivities. He has an extremely detailed knowledge of SPC law and has coordinated many complex pan-European SPC portfolios. Mr Oates has worked on some of the seminal SPC cases of recent years, and has consequently been invited to address the annual meeting of pan-European Union SPC examiners on a number of occasions. 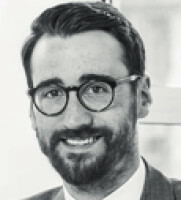 Along with his SPC experience, Mr Oates has acted before the European Court of Justice, the Court of Appeal of England and Wales, the High Court of England and Wales and the UK Intellectual Property Office, and has worked on litigations in a number of jurisdictions around the world. When not engaged in contentious work or prosecuting patents, Mr Oates uses his knowledge of the pharmaceutical industry and his experience on big-ticket cases, to give practical advice to clients in relation to IP matters. This includes freedom-to-operate advice and transactional support, such as due diligence. Before joining Carpmaels in 2003, Mr Oates studied chemistry at Oxford University, where he was awarded a scholarship and a number of prizes for his academic performance, graduating with first class honours. He spent a research year focusing on the organic synthesis of transition metal coordinated macrocycles. After becoming a European and UK patent attorney, Mr Oates qualified as a patent attorney litigator, receiving the Hogarth Prize as the highest-ranked patent attorney in his year.